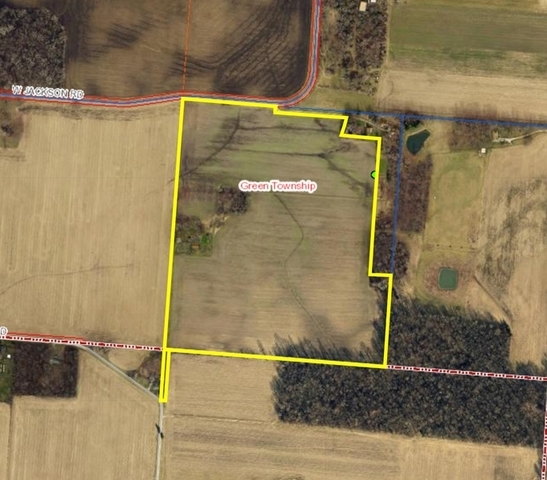 55 Acres of farmland selling at Public Auction on September 7 at 4:00 pm. Excellent soils with 50% Kokomo soils plus Celina & Crosby. 52.4 Tillable acres plus a maintained home site with nice pole barn. Sells on site at 7220 Tanyard Rd. 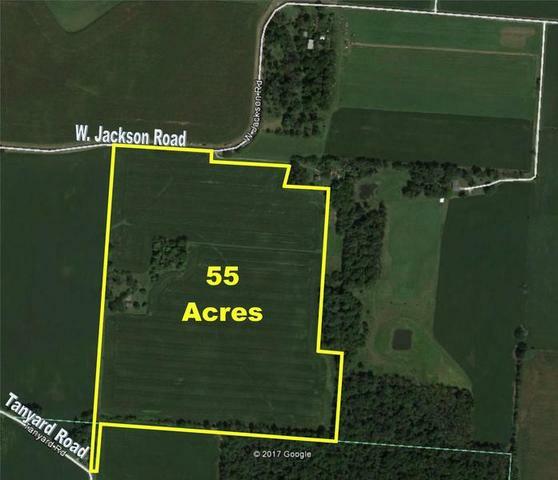 Offering 55 Acres of farmland at Public Auction on September 7, 2017, at 4:00 pm. Located mainly in Green Township in southern Clark County between Springfield, Clifton & Yellow Springs. Farm contains 52.4 tillable acres with an existing maintained home site and driveway on Tanyard Road with nice metal pole barn with concrete floor. Flat, tillable ground with excellent producing soils containing 50% Kokomo soils along with Celina & Crosby. Purchase as farmland or as hobby farm on which to build your own home. Selling as one tract. Great investment opportunity with lot split options available. Road frontage on W. Jackson Rd & Tanyard Rd. Majority of farm located in Clark County with driveway portion of property on Tanyard Rd in Greene County. Join us for this excellent opportunity to purchase prime farmland. Auction conducted on site at 7220 Tanyard Rd (watch for signs). Contact auction agents for bidder packet & full details. Downpayment: 10% of Sale Price as down payment will be deposited with the Auction Company on the date of auction upon signing of Confirmation of Sale Agreement; balance due at closing. Closing Date: On or before October 12, 2017. Purchaser will pay customary portion of closing costs at closing. Closing will be conducted by City Title Agency, Springfield, Ohio. Possession: Date of closing, with tenant’s rights reserved to harvest 2017 crops. Zoning: Contact Clark County Planning Commission & Miami Township (Greene County) for questions regarding zoning. 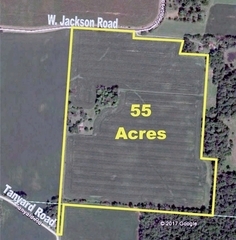 Property Location: W. Jackson Road and Tanyard Road, Yellow Springs, Ohio, just north of the Village of Clifton. Watch for signs. 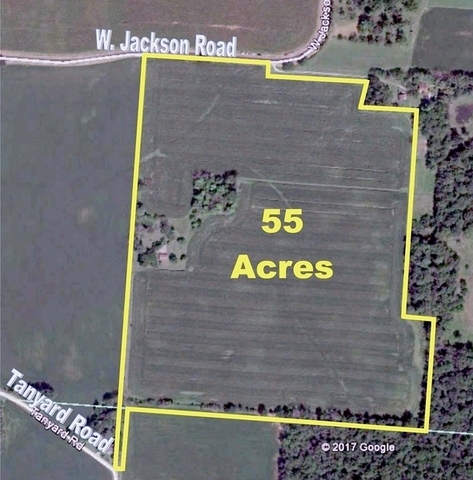 Auction Location: 7220 Tanyard Road, Yellow Springs, OH. To the auction site … From Springfield, go south on State Route 72 to right on Jackson Road. Go past property and turn left on Tanyard Road to the property. From Clifton, go north on State Route 72 to left on Jackson Road (past property) to left on Tanyard Road to property. From Yellow Springs, go north on US 68 to right on Jackson Road to right on Tanyard Road to property. Sale conducted on site at end of grassy driveway beginning at auction sign.